We welcome contributions of puzzles. 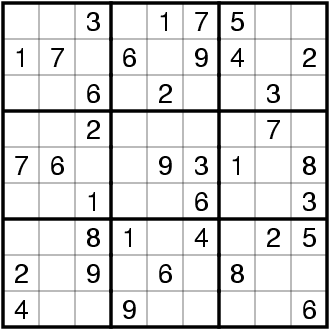 Why not have a go at making your own Sudokus and sending them our way? Pritchett Elementary has students from kindergarten through fourth grade. Sam and Adam are both nine years old and are obsessed with Sudokus. They sent us this offering.